Invicta Watches have in such short time become a very successful niche watch brand with some really nice and affordable good quality watches. Watch enthusiasts often perceive Invicta watches to be more of an affordable luxury watch brand. In a way it offers a great way to look hip and fashionable, be punctual with timings on a budget without having to fork out tens of thousands of dollars for a nice timepiece to complete your look and styling requirements. So quite a good alternative to make a statement with your watch and not be worse off in the process! Maybe this brand would be worth considering for you. 2 Where are the Invicta watches reviewed made? 3 How good are Invicta watches reviewed? 4 How about the Quality of Invicta Watches reviewed? 5 What is the Price range of the Invicta watches reviewed? 6 What kind of Warranty is available with Invicta watches? 7 Should you buy an Invicta Watch? In the early 1990s the Invicta watches as a brand was put together and founded by a group of investors who were convinced that a top manufactured timepiece could be put together and offered for sale at an affordable price. Still to this day this is the concept which continues to drive this top watch brand forwards from strenght to strenght. The company strives hard to maintain these founding principles and seems to have found a growing following of satisfied customers. Sure thing when a company has lofty priciples grounded with solid foundations and they are persistant in their efforts then the fruit will be born. That is more or less what this brand represents. The company target is to give everyone who wants top craftmanship the ability to experience the care, value, and quality that incorporates every Invicta watch in the collection. Lofty goals we must say! Sure enough due to their persistance over 50% of Invicta customers own 10 or more Invictas. That’s is really insane! That means more than 100K watch buyers are buying a new Invicta watch every year. These figures have been extrapolated from the Invict company website from an internal internal survey carried out by the company. The invicta watch brand rewards customers who are regular repeat buyers membership to the Invicta Collector’s Club offering a high impact dive case, special promotions and other benefits that are not available on the marketplace. The Invicta (meaning “invincible” in Latin) brand of watches was originally founded in 1837 by the Picard family in Chaux-de-Fonds, Switzerland. Raphael Picard led the company in the early days and it remained a family business throughout the 1970s. The company objective was to create their own highly innovative Swiss mechanical watches which they were able to do so quite successfully with their automatic-winding tehnologies. With the advent of the quartz movement watchmaking industry would be changed forever. Many watchmakers including Swiss watch manufacturers disappeared due to this new status-quo. The Invicta brand also suffered tremendously and nearly disappeared from the market completely. However In 1991 an investment company based in the USA bought out the brand and left the corporate headquarters in Switzerland. So now moving on the Invicta watches reviews can say that still to this day the Invicta watch brand is manufactured alongside other popular brands including Glycine, Coifman and TechnoMarine. The Invicta watch brand has been making a market resurgence and impact since the 2000s due to its highly innovative and progressive ethos with collections exhibiting for example rounded crystal dials, color combinations and a unique gold plating technology. Some Invicta watches have even begun to incorporate skeletonized movements as a way to set the brand apart. Where are the Invicta watches reviewed made? So they ask the Invicta watches reviews about where are Invicta watches made? The Invicta watches brand has been operating as a niche watch manufacturer for the last 20 odd years and have in this time outsourced manufacturing to third parties to achieve the budgeted costing requirements. Although they still make watches by hand in Switzerland, most watches these days are produced in around six countries with factories in China and the APAC region. How good are Invicta watches reviewed? So now the Invicta watches reviews will tell us a little about the great potential of the Invicta watch brand. At the moment this little tough brand’s research and development division is working on a potentially ground breaking revolution with the creation of a new proprietary movement method. This has come to light since they bought out a Swiss organization that has established a technical micro-technique for watch movement. It appears like Invicta is positioning itself to create another revolution like the quartz movement revolution. They seem to be making the necessary arrangements so that the movement would become scenonimous only with the Invicta brand thereby potentially catapulting them ahead of the pack in the watchmaking marketplace. Regarding the current line of watches there are two popular watch collections which are consistently leading sales, namely the Pro Diver series and the Lupah series. The Pro Diver series resembles somewhat watches from brands like Omega and Rolex in part with design elements. Nevertheless that does not detract from the top quality and functionality of the watches themselves. Yes that is without doubt as various customer reviews online including Amazon and various watch forums bear testimony to. The Pro Diver watches offer excellent water resistance and superb user experience giving divers, at a glance all the critical information required. Whats more they look damn good even in a professional and public environment! The Invicta watches reviews quite likes the sound of that, sounds like we would like to recommend to our readers. Read on to find out more…. With regard to the Lupah series, these are being innovatively marketed to teenagers and young professionals. Invicta have set up customisation options so that customers can chose between around 200K different combinations of everything possible including dial color, shape and strap types. Customers can design there own unique combinations on their own or purchase them outright from their favorite store or online shop. That takes talk about wanting to be be different and unique onto a new level! How about the Quality of Invicta Watches reviewed? Whilst checking various forums that are dedicated to watch lovers it might become apparent that some people out of habit cannot accept Invicta simply for reasons of pride and ego. Also click through the stars on the product reviews below to see reviews and comments from actual users. Perhaps it might become even more apparent that some people just cannot accept that another not so well known brand can perform just as well as their favourite brand at a fraction of the price! This is so because the brand is seen as “cheap” by many snobby types of watch enthusiasts who are shopping for a premium watch. On the other hand, you’ll also find many people who are drawn to Invicta watches because they can receive a premium watch at an affordable price. The Invicta watches reviews concludes the question whether or not Invicta watches might be suitable for you. Lets focus on 3 important and specific features. 1). What is the overall size of the watch when compared to the size of your wrist? 2). What kind of usage to do envisage would be required for the watch? 3). Are you the type of person who uses a watch roughly? With rough usage conditions, the average lifespan of an Invicta watch is about 2-4 years. This definition would include daily wear, exposure to moisture and impacts. With regular wear, It is quite normal that an Invicta watch can be used and enjoyed for 5+ years. What is the Price range of the Invicta watches reviewed? Invicta watches reviews comes now to the most interesting part to confirm what you should of gathered by now. Yes indeed the Invicta watches reviews happily conclude that these cool watches can be really affordable. There are entry level options in all watch collections where stylish products can be purchased for under $100. For example a really cool entry level Invicta men’s Pro Diver collection timepiece can be picked up for under $85. Having discussed a little the lower end of the Invicta watches reviews let’s look at the higher end at let’s say a premium watch from Invicta with advanced features, 24K gold, diamonds, or sapphires and extended water resistance would cost from around $400 to $800. Very few Invicta watches will cost more than $1,000 and more often than not they would be more collector type models which have become scarce in the marketplace as well as being discontinued models that are no longer present in reserve inventories. Over time certain models may actually appreciate in price as they become more and more appreciated for the quality that they are. What kind of Warranty is available with Invicta watches? Worthy of mention is that scratches which build up during the normal wear and tear of an Invicta watch are not covered by this warranty. The watchbands are not covered as well as the case which holds the watch. In order to proceed with a warranty repair, Invicta watch customers should contact any authorized store or repair facility with an original receipt and warranty card. Normally it is expected that the process will take 90 days from the approval of the repair to its completion. This is because the watch must be sent to a master watchmaker and craftsman to complete the job. Should you buy an Invicta Watch? The Invicta watches reviews has been asked a number of times whether an Invicta watch should be bought. What we can say is that purchasing an Invicta watch is a painless and easy way to climb up the ladder with experiencing the joy of owning a premium watch without breaking the bank. The entry level pricing of some of the watches will be welcomed by almost every budget and most certainly you will be able to find a nice new watch companion that you will enjoy wearing everyday and taking to your most intimate moments. Yes sure there will be always be some potential drawbacks when purchasing a new watch, also including a watch brand like Invicta. Most importantly consider the peace of mind of the comprehensive 5 year warranty, There are many pros and advantages on offer by joining with Invicta watches as a customer and these far outweigh any potential disadvantages. So best to manage any potential disadvantages that may cause concern in order to fully enjoy the taste of the advantage and all of the positives on offer. 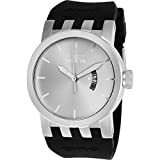 The Invicta watches reviews can conclude that these Invicta watches can and do give a really great user experience and this top watch brand should be taken more seriously inorder to be pleasantly surprised. e’s everything you need to know about this $50 million brand so that you can determine if an Invicta watch is the best watch for your needs. These Invicta Watches Reviews featuring the latest and best Invicta Watch Review incorporates trusted customer reviews and is one of our latest Invista Watches Reviews from a top collection of Invicta watch reviews available FREE to assist you in your search for the perfect timepiece and companion to take wherever you go! This Invicta watches reviews with the latest Invicta watches review by WatchiWatches the best watch reviews site for top watch brands.